This beautiful eclipse will happen when we are smack in the middle of our healing meditation at the event with St Germaine on Friday 20th – [ https://www.eventbrite.com.au/e/an-evening-with-st-germaine-tickets-15703929877 ] and this will be an amazing event so if you have time on this night – do come along and have a deep healing and informative night. This eclipsed moon by the way is in the exact centre of the Four Blood Moons unfolding that the ancients of days speak of in terms of momentous change. This eclipsed new moon is in Pisces and all the dreamy spectacular possibilities that come with this. Here is the first new moon in 2015 in a mutable sign and there is a great deal of this restless, agitated and change loaded transits occurring this year. This includes the dreamy and delusional Neptune in Pisces along with the healer Chiron, we have Saturn in Sagittarius [again watch for air break throughs and air disasters here for the whole of this] and then in August Jupiter arrives in Virgo. This year is all about massive change and it is kick started with this Eclipsed New Moon. What is particularly interesting about this moon is that within 10 minutes of the eclipse – barely – it transits from Pisces [29 degrees meaning Karmic endings of a dramatic kind] to Aires – making this a rather spectacular Super Moon altogether [super moons are called so because of their proximity to earth at various times of the cycling orbs] and the next cycle of them will be at Full Moons, later in the year. This 29th degree aspect is often associated with dramatic crises situations and collapses of some kind and as the last Uranus – Pluto square hit occurs this week also this will be dramatically increased in intensity. This 7th and final hit means that the behemoths of change will now roll out across the planet their powerful bringing down of empires, infrastructures of control, religion and education. The next few weeks will bring dramatic escalations of the forerunners of the eventual tumble of the house of cards – do your best to view it all with love and compassion – personally and globally. It means a fresh start is possible but only by letting go of some deep seated, frightened aspects of being – and ending at the paradoxical sign of new beginning in the new moon. Saturn’s aspect to this obliges us to re-evaluate some of our deeply held convictions about what we are a species, how we think this world works, belief structures that bind us to destructive and paranoid ways of being that have led delusions, psychological and physical breakdowns, spiritual catharsis and all other kinds of signals from the body that this way of living is now completely unsustainable. People will really begin to notice how much they hate their job if that is their beef, how they are being strangled and suffocated in a relationship – it matters not with whom – it is just yourself working yourself out lol and with delightful Neptune involved you can be assured their will be lots of alcohol and drugs around for people to escape into – I suggest you make an effort to constrain this. You will know you are being exposed to this energy if you really do see the repetitive nature of these experiences – for yourself and your loved ones – what ever it is – stay as detached as you can. If you can let go with love and forgiveness – of yourself and the other party or parties involved – you will genuinely heal something of great significance here. This is also the day of the Autumn Equinox here in the water based feminine hemisphere and marks the beginning of the new astrological year so there are many cycles and rhythms all coalescing on this night. This makes this Solar Eclipse a very rare event – it occurs only three times in this century and not once in the following hundred years. Due to its super moon status [closest to earth] also there is genuine and real awareness and concern around tidal waves and the power grid systems of the planet – most noticeably under the path of this one but felt everywhere none the less. We may see an upsurge in cyclones and hurricanes – or other water based disasters. [the tsunami in Japan in 2011 occurred smack in the middle of a new moon in Pisces] As above – so below so also watch for the tidal waves of emotion in your own system and the electrical storms that would desire to tear things down! As the eclipse occurs in total darkness [new moon = no light] even while the energy is unaffected – we really will be being asked to look into the depths of the core of our being and much will come screaming to the surface here. Things will be paradoxically illuminated here – facilitating that which is usually hidden to be seen very clearly – that which is dark and subterranean to be brought to the surface for examination of its truth and validity and desire for integration. The moon becomes as a vast mirror allowing us to step through the looking glass and see what is real. The deepest aspect of our beings, our dreams, hopes and aspirations, our inner demons and torments will be demanding that we plunge into this as it can no longer be buried under the guise of pretence. Because of the ingress straight into Aries – it means that what ever happens here will be permanent – no recovery or going back into the old ways. New beginnings will be felt immediately post this and will continue to take shape over the next 6 months – big time. We are no longer who we think we were – there is no where to go back to. The denial, pretence that all is going swimmingly – cannot be sustained or maintained now. I guarantee that if you are not having nightmares and wild and weird dreams by now you soon will be! You sleep will be disturbed, you will get colds and viruses, you will feel fatigued and discombobulated. And experiences and very painful memories that you have not thought of in years will come to the surface – from nowhere – with no trigger. Under these energies you may seriously doubt what is real and what is not as we transverse the hypnogogic space between sleep and wakening states of consciousness in strange and unusual ways. However there are also so many gifts of healing here also. Eclipses are powerful and offer lots of opportunities to change and evolve and as what is needed to change increases – so do the possibilities. We can be determined here, dynamic and as we work out what is real and of value to us – we can be tenacious and principled as we move towards what is right for all. All this energy of Pisces, Neptune and even Jupiter sitting on its own beneficence speak of religious matters too and again during these transits it is not uncommon to see issues of the religious behemoths of self glorification – churches etc – be embroiled in scandal. This is an outward projection of our need to examine our beliefs – where have we been lied to – where have we perpetuated the lie within in order to maintain the status quo. If we do this over the next 6 months we shall not look back however if we resist this call then the lessons that come to bite in about 6 months from now will be very painful for all caught in them. These things cannot be deferred any longer. It is time for the sword of truth to enter and anchor into the crucible of knowing. This is a powerful spiritual time in which the light and the dark need be integrated together beyond the illusion of duality and separation. Under this moon spirit and matter can truly marry in a way that serves and allows both to expand and grow. The desire to escape all this can be very real so do be mindful of escapist tendencies, secrets and lies, weird connections and vague commitments – examine all things closely before you leap into anything. Mercury conjuncting Neptune at the moment is adding to all this confusion so do be mindful lol. The great water power of Pisces has a direct correlation to the reality of our beings consisting mainly of water – this energy affects us all – deeply – where it is in your chart will determine in what way this hits. Transformation is coming whether you like it or not. We may discover during this that ideas and inspirations that fall out of the sky as it were – are truly life changing. Pisces sees all things and does not judge them in the way that Virgo [its opposite] does. With this axis it means that work or health issues may come to the fore during this eclipse and in the 6 months beyond – and the need to set new and clear boundaries in the way that we are of service to others [note to self lol] is a major area for change and renewal. What is interesting is that some will be called to a new way of being – a new line of work that better matches our true nature – or emotional makeup and our spiritual nature may well call for more rest, more time for ourselves than is currently being allowed in some delusional world view that it is our job to be all things. The transition of the Moon from Pisces to Aries and its aspect to the North and South Nodes [in Libra and Aries] will then help us sort this all out. The eclipse will show us where we have been led and also led ourselves up the garden path, used and abused as it were and then we will be filled with the courage required to walk away and the insight to know how to do that as part of a larger reality. It takes a certain kind of steely nerve to do what is required however if we follow this – do what we know is right for us and the planet – then on the other side of that fear is a freedom we are yet to fully comprehend. All are going to be profoundly affected by this moon – through the Moon in Pisces or Aries it self – through Uranus, Pluto, Jupiter or Saturn – revolution is coming – within and without. 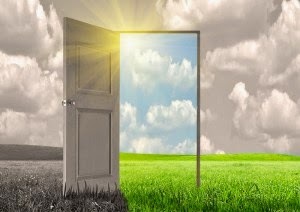 Spirituality and health and medicine will have many doors opened whether they like it or not lol. As the old falls away with this moon let it go – with ruthless compassion if necessary – and with unconditional love and awareness. Destiny has arrived – let your self drift into the new way of being. This is also the moon of Shiva – so let its light shine on the pathway back to yourself. Choose every so wisely at this time dear ones – it is your choice – perpetuate the pattern and pay the piper within the next few months – rise and be free of the delusions of your existence and reap the rewards with new ways of being, relating and working. What ever we choose the results will be long term either way. PreviousPrevious post:Easter – Blood Moon Eclipse Sweat – MeditationsNextNext post:Forty Two – Single – Childless – I may as well top myself!